White sneakers are already constructed in the category of timeless classic sports fashion. But the downside, of course, is impractical. To ensure the sneakers longevity and to preserve their original appearance, should take special care shoes in white leather. If a colored material is subjected to further processing, improving its strength, the white skin is vulnerable because of its softness. 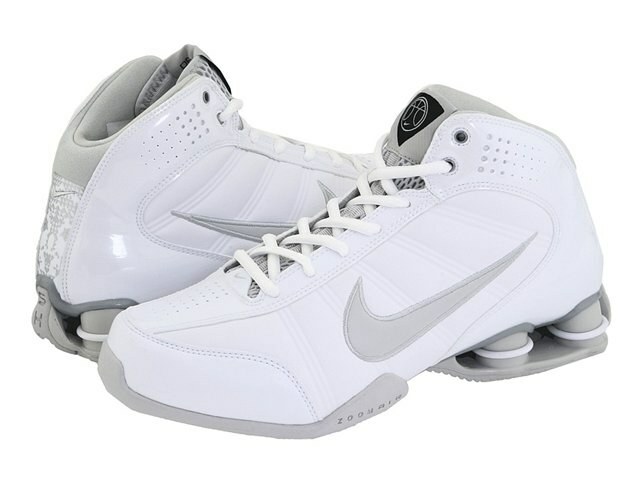 It is therefore necessary carefully to clean white leather sneakers and to create favorable storage conditions. You want to protect sneaker white skin not only from pollution but also from damage. On a Shoe visible the slightest scratch, dash, leave his or someone else's soles. In addition, the white skin with improper care is quickly becoming gray or yellowish. First, white sneakers you need to allocate a separate shelf, brush or sponge. Second, they need to be well dried before you clean the Cabinet. Finally, for protection from scratches best way to pack sneakers in a bag. Together with white shoes is to buy a special soft cloth or rubberized sponge, and foam detergent. This tool not only removes dust from the surface, but deeper contamination. In addition to the required washing after each wear, you need to clean white leather sneakers with the use of folk remedies. Products that are in the refrigerator or the medicine Cabinet in each family, will help to preserve the original appearance of the Shoe. One proven means is the milk with the egg. Whisk one protein in the foam, adding 100 ml of milk at room temperature. 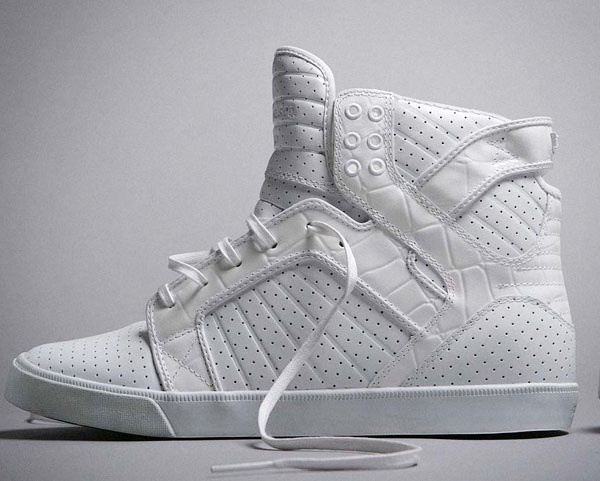 Wipe clean with a part of the sneakers made of white leather, with special attention to the spots. You can also use toothpaste or powder with bleaching particles. You just need to apply them on the stain and RUB hard with a toothbrush. This tool is fully capable to replace the baking soda with a drop of lemon juice diluted with water. The rest of the powder is necessary to clean with a damp cloth. To refresh color white leather shoes, you should use lemon juice. Fresh juice to be diluted with water in equal proportions, then apply on a cotton pad and carefully handle the entire surface of the Shoe. Then a good rinse shoes to citric acid didn't eat through the skin. Care of shoes of white leather and suede can be provided by using 3-5% hydrogen peroxide, nail Polish remover or a bleaching soap, diluted in water. All of these products help keep white color leather sneaker. After washing you need to handle the shoes with a mixture of glycerin and nourishing cream to the skin does not dry prematurely. And to eliminate scratches is to use a special paint on the adhesive base. White sneakers look very stylish, but too often get dirty. Sometimes to scrub the dirt a regular sponge with detergent fails and boots completely lose its shape and look old even if you bought just a few days ago. Before you begin to clean white sneakers, remove the laces – so it will be much easier. Then erase from your shoes the dust with a damp cloth and shake them from the dry dirt. If on the inner side of running shoes there are black bars, they can be erased ordinary eraser. Stubborn dirt from white leather shoes it is recommended to remove some whitening toothpaste and brush. It is not too much to wet the brush, otherwise you get a lot of foam and the pasta will lose its abrasive quality. To enhance the whitening effect you can add in the paste few drops of lemon juice. If sneakers have fabric inserts, which also needs to be cleaned, you can use a toothbrush and liquid stain remover for washing clothes. Apply a small amount of gel to shoes should be and how to treat it with the brush, and then rinse with water. If necessary, repeat the procedure again. Cleaning sneakers can be done with your own hands. To do this, mix a small amount of washing powder with a spoonful of vinegar, hydrogen peroxide or lemon juice. You should get a thick paste, with which you will be able to wash sneakers. Many suggest to wash white sneakers directly in the machine. First, it is necessary to unlace the shoes and remove insoles. Put the shoes in the drum, pour a small amount of washing powder and wash at 30-40 degrees at lower rpm. The spin mode should be disabled. In some cars there is even a special feature for washing sports shoes. After machine is finished, dry the sneakers by hanging them on the balcony or outside the tabs, or use a special Shoe dryer. In order to protect white shoes from dirt that is difficult to remove, use special protective wax or spray. After applying the mud will be easy to schematise with a damp cloth or sponge.